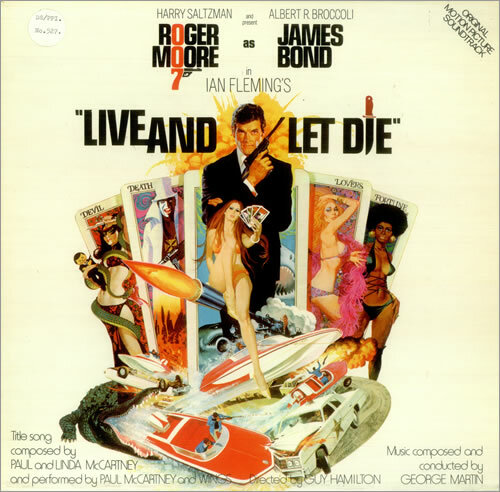 JAMES BOND Live & Let Die (1973 UK 14-track LP featuring music from the soundtrack of the film including the title track by Paul McCartney & Wings with the rest of the music composed & conducted by George Martin, fully laminated picture sleeve. The sleeve shows very little of its age & the vinyl still looks barely played UAS29475). or visit our James Bond image gallery.